A big thank you to all those who did buy a copy and made such favourable comments about it. 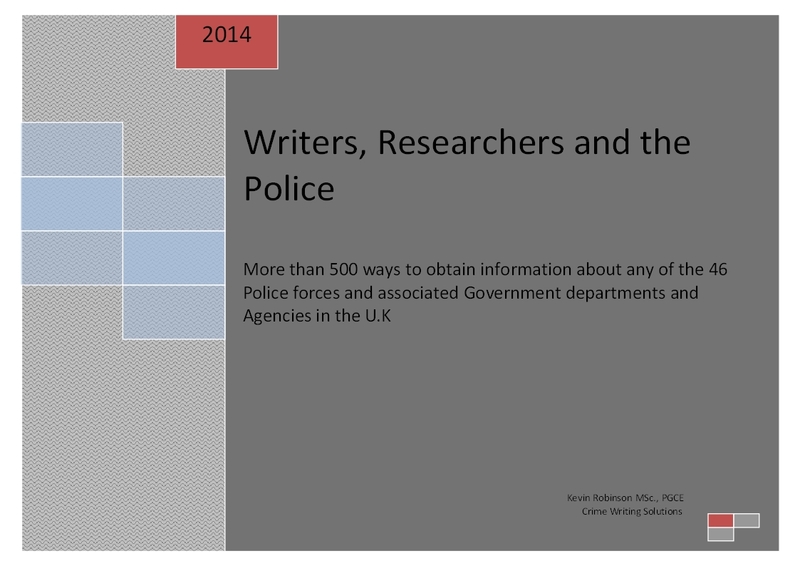 Newly published this year is the very first ever guide aimed at writers and researchers who want to know how to find out information about the police or related agencies or departments in the UK. The 89 page guide describes various ways you can find answers to your questions and also lists over 500 postal addresses, telephone numbers, e-mail addresses and websites to either access the information directly or somewhere/someone to contact for access to it. Just had a quick skim and it looks really useful. I think I will need to bring my character, Annie Macpherson back to the UK and use the information in it!!! Seriously, this will be great for writers. The book is a jolly useful guide indeed – I wish I’d had something like it when I first started writing, it would have saved me loads of time. It does what it says on the tin, putting authors in touch with the right force and hopefully the right person to answer their questions. Excellent stuff.